It’s always nice to have a space at home where you can get work done. 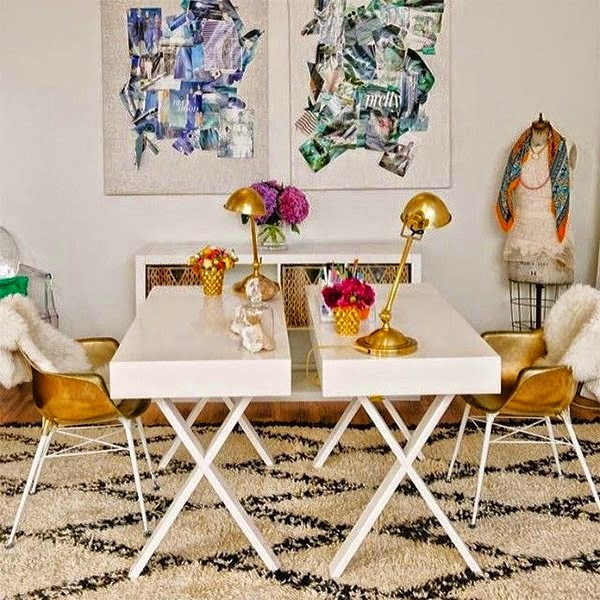 And because it’s your home office, you can style it any way you want. Here are three tips for getting the most out of your home office. First, always remember that if you’re short on space, more than one person can share a home office. These offices maximize space by including a place for two people to work independently. Above we see one long desk, and below two smaller desks, depending on what your space allows. I wouldn’t feel crammed in either of these spaces. Second, add a touch of glamour to your home office! Luckily adding glam isn’t hard at all, just add a hint of black. 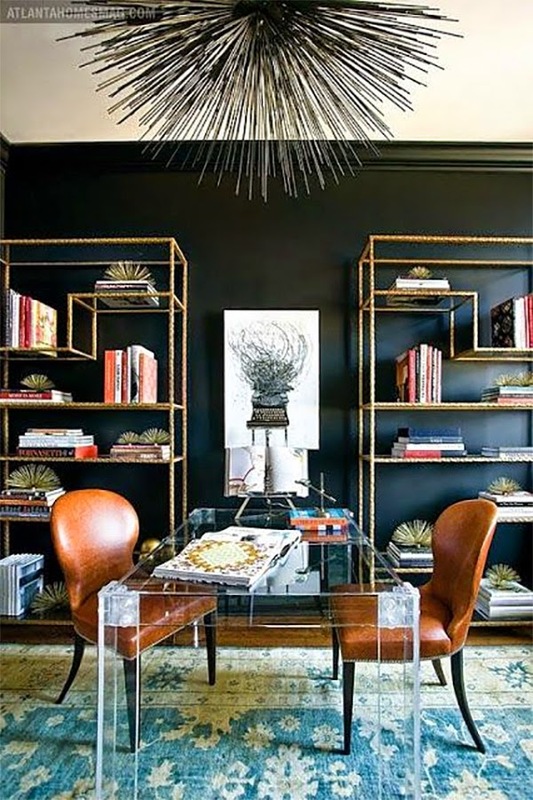 Black equals instant glam as you can see in these office designs (above & below). Très chic indeed. Third, if you don’t have a home office, create one. If you can spare a small closet you can make for yourself an office in no time. Take a look at the sunny closet turned office below. 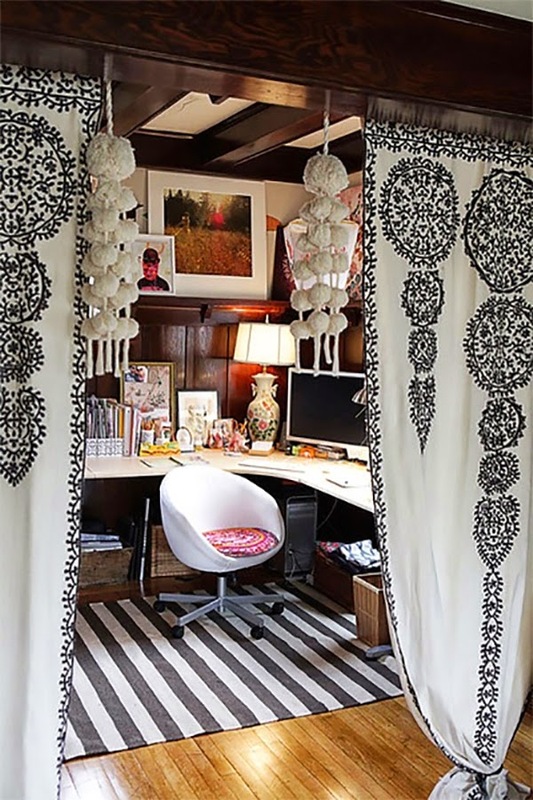 If this is the perfect DIY project for your office lacking space, then click over to House Beautiful’s suggestions for making the most out of a closet turned office. As a bonus, be sure to include color in your home office! Bright colors are energizing and so can be perfect for a home office. 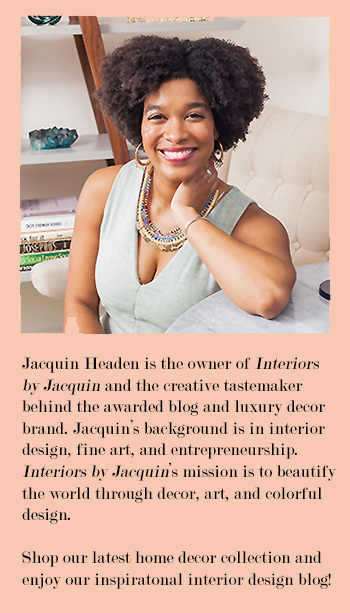 Below, the pink burst of color is the highlight of this feminine office. What are your plans for an office makeover?